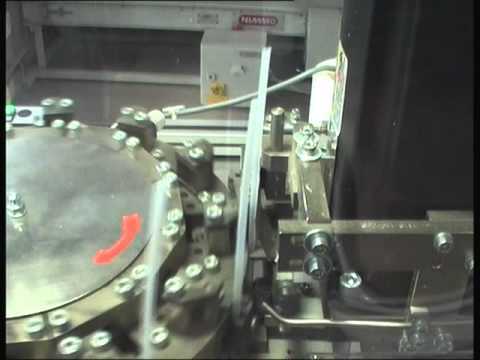 The Desotec Continuous motion Dip Tube Assembly machine uses a single knife to make up to 600 cuts per minute to 2 knives for 1100. Designed for 3 shift operation this Assembly Equipment can be fitted with two in-feeds to make two different valves and up to 3 out-feed on each turret. This is ideal either to serve multiple Aerosol Production lines. 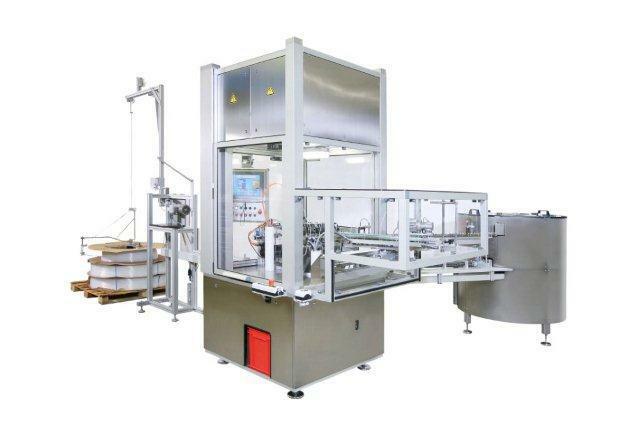 This assembly machine is suitable either for contract fillers who want more flexibility or for high speed dedicated lines where transport savings, labour savings and reduced feeder costs quickly pay for the machine. A Desotec Dip Tube Assembly Machine, capable of 500 dip tubes a minute, is now installed in the north West of England at an Aerosol Filling Factory.